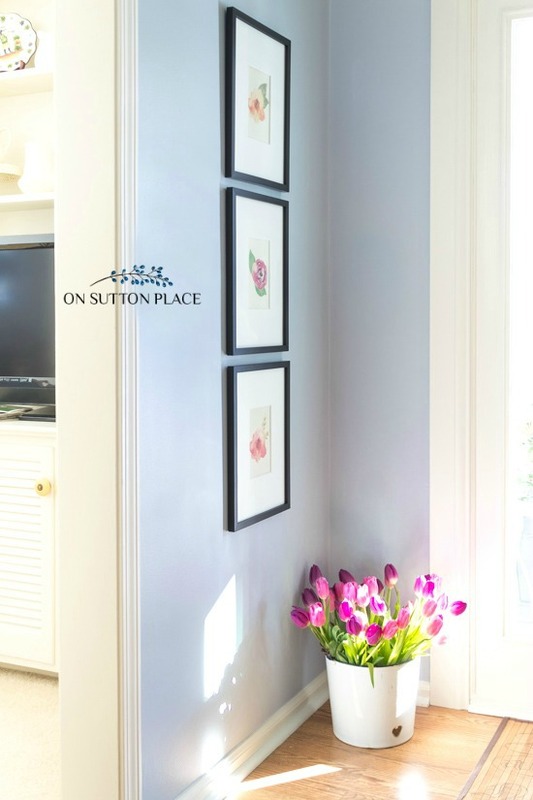 One of the best ways to add color and personality to your home is by adding wall art. Not just any wall art though. 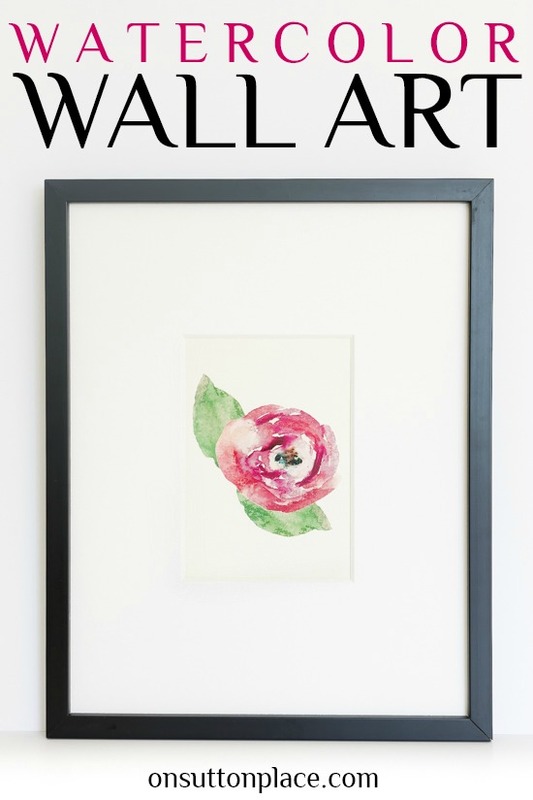 DIY watercolor wall art that you have created. Maybe not from scratch, but something that reflects your tastes and interests. I made my own DIY Christmas Wall Art and loved the way it turned out. Of course it’s been packed away and I wanted something to replace it. I made my own DIY Watercolor Wall Art from graphics I purchased on one of my favorite websites. Angiemakes.com has the most amazing watercolor graphics. I purchased these Flowers and Leaves for such a reasonable price and they look like real watercolor images. The total cost for this entire project was around $40.00. The frames were just over $13.00 each, but that included the mats. I had my favorite cardstock on hand so I didn’t have to purchase any. You do need some sort of editing program. Canva and PicMonkey are free programs that are super easy to use. It’s also possible to use a word processing program like Microsoft Word. After I printed out my flowers, I taped them to the back of the mat board. It holds them just enough so they don’t move around. Also, I can change them without damaging the mat board. Popping them in the frames took just a few minutes. I think we’re all ready for a breath of spring. 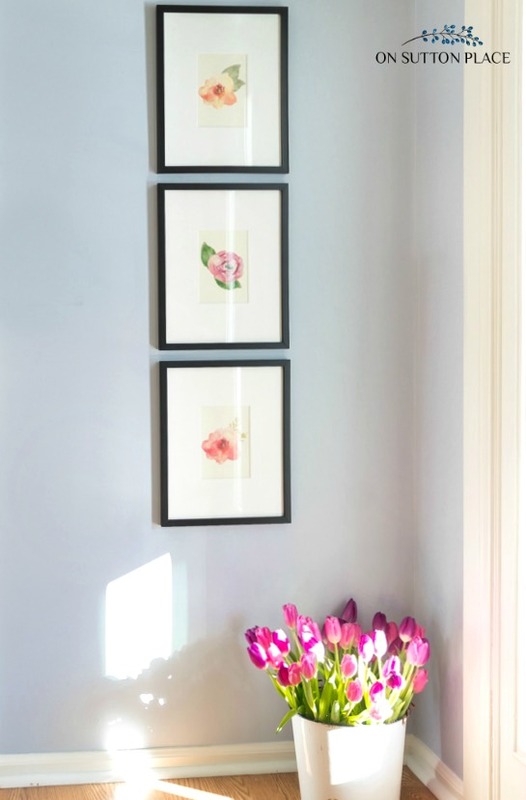 This new DIY watercolor wall art was just the thing to brighten my entry. 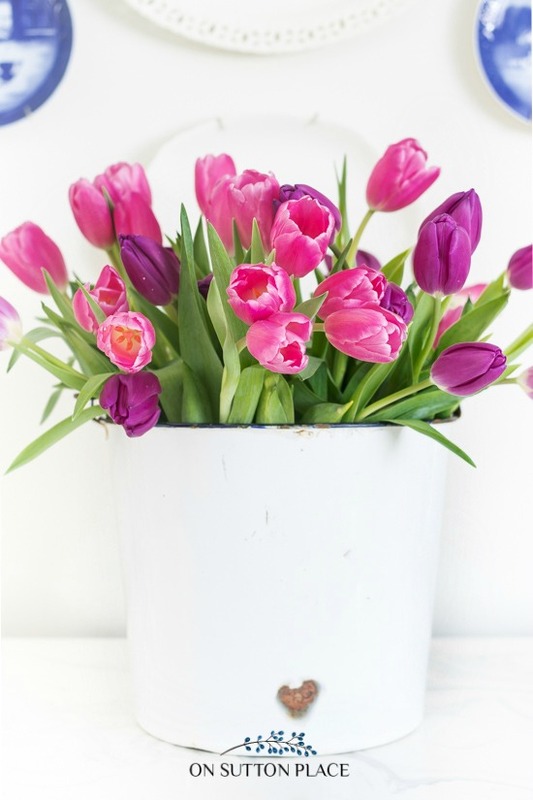 Go ahead and treat yourself to some new DIY decor or a bunch of tulips from the grocery. It won’t break the bank and you will feel so much better! p.s. When I was taking these pictures, I was moving the tulip bucket around. Here’s a pretty shot to get you in the mood for spring! This is really a great idea — I’m not great with crafting, but I can handle this! They look like they cost so much more than they did. What kind of paper did you print them pictures on? They are gorgeous on the wall! Hi Becky! I got textured card stock in the scrapbook paper aisle at Hobby Lobby. It was an ivory color. Any kind of card stock would do though. It doesn’t have to be textured. Thanks for stopping by! I totally want to make some now Ann! They look so beautiful! Those are really pretty Ann. I mentioned you in my mini guest bedroom makeover post a couple of days ago. How sweet, those are perfect for spring. I just love your water color art. It’s so simple and pretty. I agree wall art is so important. Today I was out and found a watercolor calendar and bought it to use as wall art in our home. I’ve been seeing a lot of water colors around with that app you can get on your phone. Thanks for sharing, now I cant’ wait to get my framed! Ann, I love this post. You little watercolor images are so so beautiful! Thanks for sharing Angiemakes.com/ I checked it out and it has wonderful images! Very cool! Ann, your watercolor prints are just the thing to lift some spirits! We’re in the middle of an ice storm here and hope to keep our power! If we can just get through this mess, there are warmer temps on the horizon! I don’t know how you handle all the cold and snow. I would have to put up about 1000 of those flower prints to get me through the winter! Ann, those are so pretty! I, too, am ready for some signs of spring. At least we had bright sunshine today. Thanks so much for your continued inspiration. So cute, Ann. Watercolors are so hard to work with….I prefer oils because they are so much more forgiving! I just noticed your black switch plate covers….how neat! Ahhh…gorgeous Ann! I am longing for Spring today. We have lots of snow here in SC!